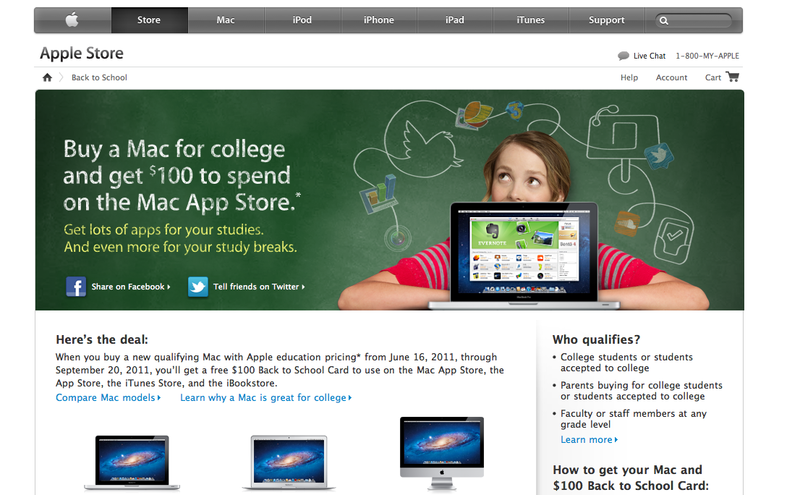 If you are a college student (in the US) and planning to buy a Mac soon, you can get a $100 iTunes gift card when buying though Apple's education store. Offer ends September 20, 2011. Click here for more details.